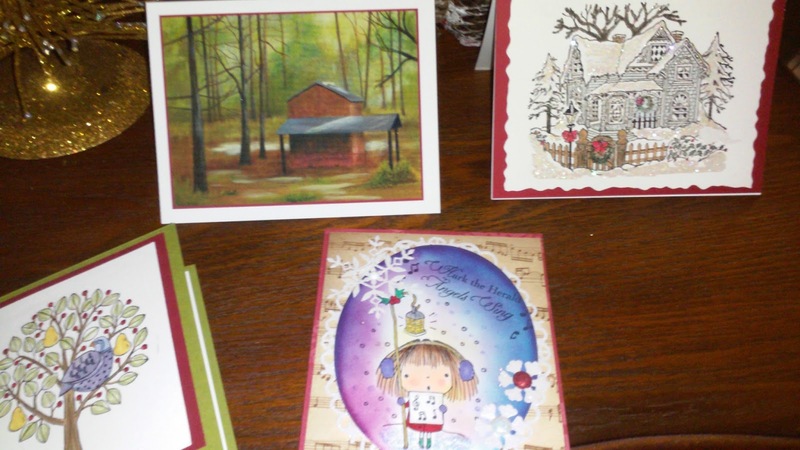 Art Gallery Cards: Beautiful Handmade and Original Cards! 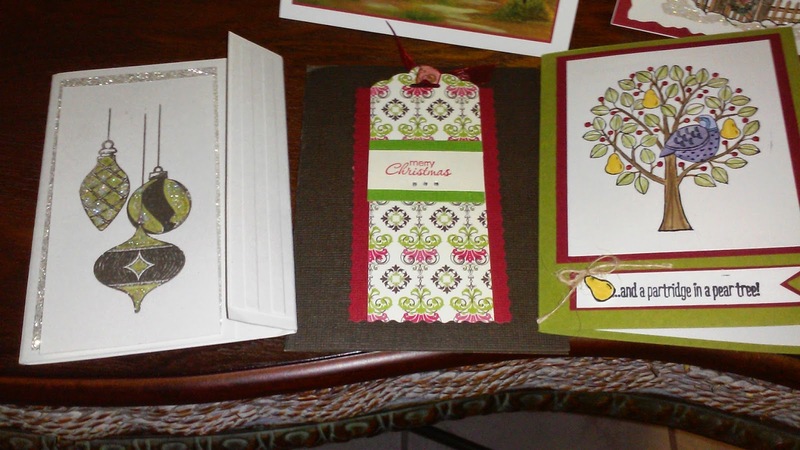 I wanted to write a quick post to show you some handmade (and they are gojus) cards that I've received this holiday season! Aren't these lovely!! Back Left: Linda Krupp's original painting. I love her peaceful scenes! Thank you so much, Linda! Back Right: Bea Woods' amazing card. So many pretty details. I love this! Dazzling details and perfect stamping! Thank you, Bea! Front and Center: Trudy Pope's darling little girl with her thoughtful music elements. Trudy is an expert with Copic markers! Beautiful, Trudy! From Left: Sydney Kramer's beautifully heat embossed ornaments. So sweet, simple and pretty. Thank you, Sydney! Middle: A beautifully detailed tag highlights this lovely by Colette Forsyth. I really love all of the attention to detail and the pretty and original design! Love it, Colette! Right: Ellen Miller's wonderful Partridge in a pear tree. This is one set I didn't get and I'm regretting it now! I love her extra details with the pears and the sweet partride. Well done, friend!